A collaboration between Native activists, professionals, and scholars, Re-Creating the Circle brings a new perspective to the American Indian struggle for self-determination: the returning of Indigenous peoples to sovereignty, self-sufficiency, and harmony so that they may again live well in their own communities, while partnering with their neighbors, the nation, and the world for mutual advancement. 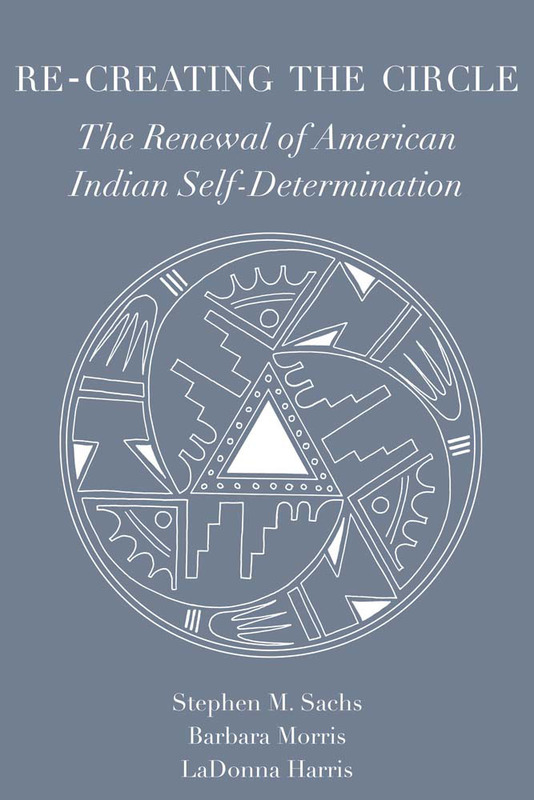 Given the complexity in realizing American Indian renewal, this project weaves the perspectives of individual contributors into a holistic analysis providing a broader understanding of political, economic, educational, social, cultural, and psychological initiatives. The authors seek to assist not only in establishing American Indian nations as full partners in American federalism and society, but also in improving the conditions of Indigenous people world wide, while illuminating the relevance of American Indian tradition for the contemporary world facing an abundance of increasing difficulties. LaDonna Harris (Comanche), founder and president of Americans for Indian Opportunity, is an activist and leader on Native American rights and political issues. Stephen M. Sachs is professor emeritus of political science at Indiana University-Purdue University, Indianapolis. Barbara Morris (Comanche and Cherokee) is Provost and Vice President for Academic Affairs at Fort Lewis College in Durango, CO.